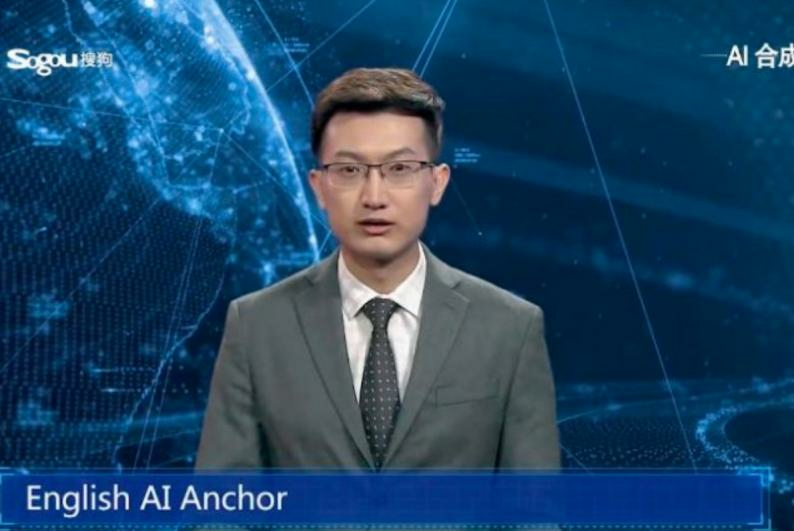 China's state-owned Xinhua News Agency introduced so-called "composite anchors" on Wednesday, combining the images and voices of human anchors with artificial intelligence (AI) technology. The new AI anchors, launched by Xinhua and Beijing-based search engine operator Sogou during the World Internet Conference in Wuzhen, can deliver the news with "the same effect" as human anchors because the machine learning programme is able to synthesise realistic-looking speech, lip movements and facial expressions, according to a Xinhua news report on Wednesday. The mouth and face of the AI anchors are edited to improve the authenticity of the production, and the anchors can programmed to read the news far quicker than using traditional methods. Xinhau created two AI anchors in partnership with Chinese search giant Sogou, one for English broadcasts and another for its Chinese audience. The news agency told the South China Morning Post that its AI anchors could greatly improve efficiency and lower the cost of producing daily news reports. "AI anchors have officially become members of the Xinhua News Agency reporting team," Xinhua said. "They will work with other anchors to bring you authoritative, timely and accurate news information in both Chinese and English." Watch a sample report by Xinhau's English AI virtual anchor below.